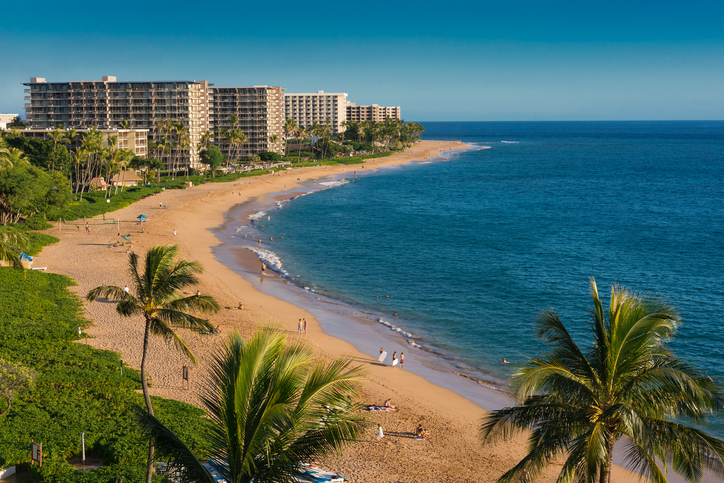 Located in northwest Maui, Kaanapali is a census-designated place famed for its iconic beach. It is located a few minutes north of the town of Lahaina. As a matter of fact, Kaanapali is considered to part of Lahaina. The first planned resort in all of Hawaii, Kaanapali inspired the development of more master-planned, resort-style communities throughout the archipelago. Development on Kaanapali began in the 1960s, with Amfac, Inc. leading the project. The plan was to create a resort-style community with the three-mile strand of beach as the town’s focal point. 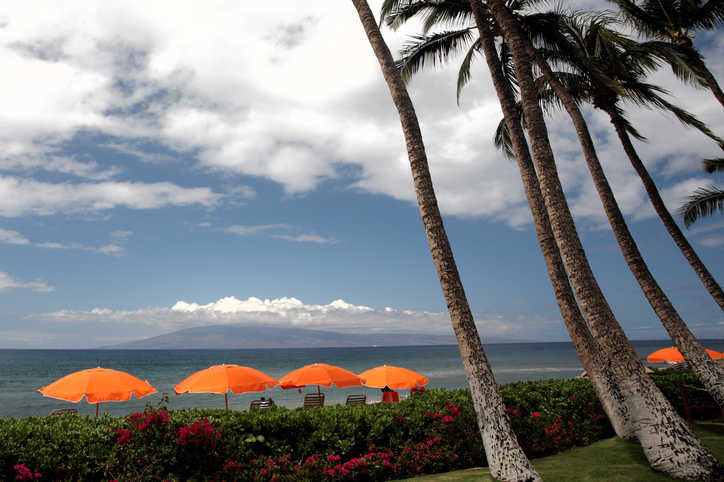 Over the years, Kaanapali grew and became a top destination in Hawaii. 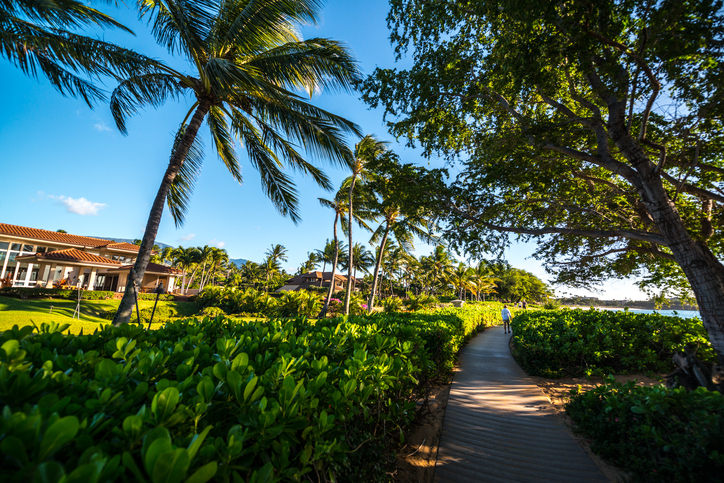 Outdoor recreation, world-class shopping, and jaw-dropping natural beauty are just some of the reasons why many locals and travelers love Kaanapali. It’s easy to see why it’s the most famous beach in Maui. Kaanapali Beach has been touted as West Maui’s signature beach. Kaanapali’s wonders are wide-ranging. The locale is home to top-rated hotels and an open-air shopping complex. From water sports to golf, one can find plenty of entertainment and recreation in the area. The backdrop to all of this is the lush and towering West Maui mountains, with its web of trails and hidden wonders. Kaanapali is home to several world-class hotels and condominium villages. As the first resort community in Hawaii, one can expect fantastic real estate investment opportunities in Kaanapali. Homes for sale in Kaanapali’s housing market include single-family homes, condos, vacation villas, luxury homes, and waterfront property in what is widely considered one of the most coveted areas in Maui. For golf lovers, Kaanapali real estate also has something to offer. Homes with easy access to Kaanapali’s spectacular golf courses (with lovely views to boot) also make up a portion of Kaanapali’s housing stock. Homes and condos in Kaanapali were designed with the tropical theme in mind, making the overall look of the community coherent yet unique at the same time. Kaanapali real estate are great for long-term investments in Maui. Since the community is a popular destination, Kaanapali attracts crowds of holidaymakers and travelers, some of whom stay in the community for long periods of time. This makes Kaanapali’s vacation residences in demand and a solid investment for real estate investors. Golf enthusiasts living or visiting Kaanapali are in for a treat– the community is home to two world-class golf courses. The first one, Royal Kaanapali, was designed by renowned golf course architect Robert Trent Jones, Sr. This par 71, 6700 yard-course was opened in 1962 and was renovated in 2006. The second one, Kaanapali Kai, is a par 70, 6,388-yard golf course designed by Arthur Jack Snyder. Both golf courses feature stunning views of the sea. An open-air shopping complex with views of the Pacific, Whalers Village is a one-of-a-kind mall. This shopping mecca is home to a number of shops, from high-fashion boutiques to specialty retailers. Whalers Village also has dining opportunities to offer, with restaurants such as Leilani’s On The Beach and Hula Grill located within the complex. Finally, Whalers Village is home to the Whalers Village Museum, where one can learn about the whaling history and local culture of Lahaina. Thrill-seekers looking for the next adrenaline rush can try cliff diving in Kaanapali. The most notable cliff for this activity is Puu Kekaa, also known as Black Rock. Every sunset, a special ceremony honoring Maui’s King Kahekili is performed here– an authentic Kaanapali cultural experience. Browse my website or get in touch with me at 808-214-0302 or Greg@IsleLuxury.com to explore your opportunities at Kaanapali real estate and Kaanapali homes for sale.